What better way to learn about a prospective field or career than to do an internship? What better way is there to get some experience that will beef up a resume for that real job someday? Obviously, I am a big believer in internships. It allows students to learn, but it also helps them decide if that is actually the career for them. 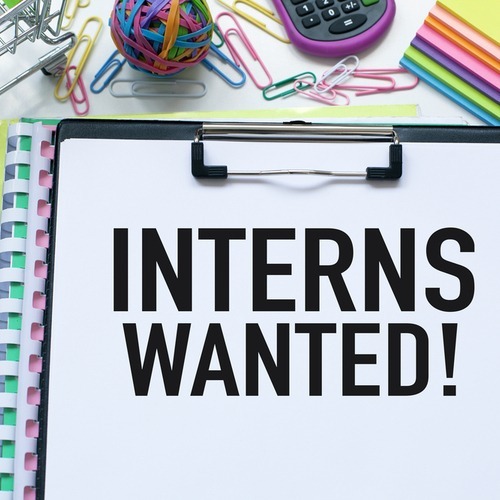 Internships help students figure out, while still in school, whether the career they envisioned for themselves all along may (or may not) be just what they wanted? The question is how to find one. I’m not going to lie….if you know someone, now might be the time to put the word out there that your student is looking. Internships, full or part-time, in just the right field can be difficult to find. If it is possible, tell your student to offer to work for the semester or summer without pay. Their experience is their paycheck and can be worth far more when they are looking for a job after college. Don’t worry; many internships do pay though. FSU runs various career and internship fairs throughout the school year. These are a great resource. Check out the Seminole Futures All Majors Career & Internship Fair on January 17, 2019, from 9 to 12 and 1 to 4 and the STEM Career & Internship Fair on January 15, 2019, from 9 am to 3 pm at the FAMU-FSU College of Engineering. FSU provides a complete listing of the various career and internship fairs. You may want to remind your student to dress professionally when they go. The Moellership Program provides undergraduate and graduate students at Florida State University the opportunity to focus 8 – 12 weeks of their summer on service at a non-profit agency anywhere in the world. Students receive a stipend of up to $4,000 for participation in the program. There are also many websites that list potential internships. Internships.com, as most of the sites do, allows students to put in their city and field of choice and even whether or not they are looking for paid and/or unpaid internships. From there a proper cover letter and resume would be the next step. Occasionally a skype interview may be requested. Using sites like Indeed or SimplyHired may be worth a try, but spending a lot of time on these to simply hit the “apply” button and having their resume sent into a black hole generally doesn’t prove too successful as most of these positions get filled by students with a more personal connection. Handshake FSU is one of the largest networks of career services. Finally, ask your advisor and professors. They can be a wealth of knowledge in this department. LinkedIn can be an excellent resource. Perhaps your student saw a position at a company they are interested in one of the above sites and then by scouring LinkedIn they can make a connection. To search for internship listings, be sure they have a detailed and updated LinkedIn page ready to go, then go to the jobs tab at the top of the page and put “internship” in the search box. Refine your search by filling in the boxes on the left side of the page. Finally, many students are creating their own videos or websites to show off all they have done and are capable of. It can be better than a long portfolio that may exceed the amount of space for uploaded information. These are generally used for more majors like graphic design or advertising, and not finance. Look at Wix, GoDaddy, and WordPress for tips on creating your own online website.